Stroke or brain attack or a cerebrovascular accident (CVA) is the sudden death of brain cells in a localized area due to inadequate or interrupted blood flow to a part of the brain resulting in deprivation of oxygen and nutrients and accumulation of waste products. Stroke may cause complications such as partial or paralysis, speech impairment, loss of memory and reasoning ability, coma or death depending on the region of the brain affected. Emergency treatment of stroke from a blood clot is aimed at dissolving the clot and stabilize the medical condition of the patient. Controlling life-threatening conditions, preventing another stroke and limiting any stroke-related complications form part of the treatment plan after the dissolution of the clot. Once the clot is resolved and the medical condition stabilized the next immediate priority is rehabilitation. Early stroke rehabilitation helps in the better regaining of the lost abilities and skills so that the quality of life improves. Ayurveda with its patient centric holistic approach, potential internal medicines, effective external treatment modalities and special diet principles assures comparatively more efficient stroke rehabilitation. 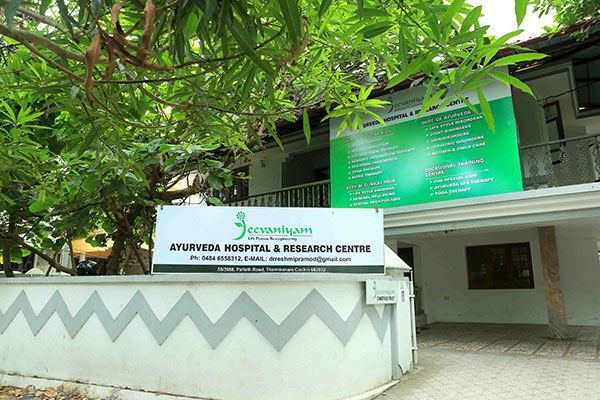 At Jeevaniyam Ayurveda Hospital & Wellness Centre Kochi, Kerala stroke rehabilitation is offered in a homely atmosphere through a customized integrated holistic treatment module developed by assimilating Ayurveda treatment with Physiotherapy, Occupational Therapy, Speech Therapy, Counselling and Yoga. 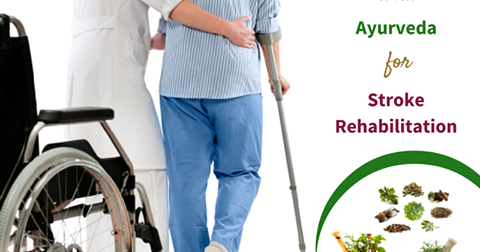 Quality recovery, improved lifestyle, independence in activities, revival of confidence and feeling of reassurance in life are our goals achieved through our stroke rehabilitation programs at Jeevaniyam Ayurveda Hospital & Research Centre.